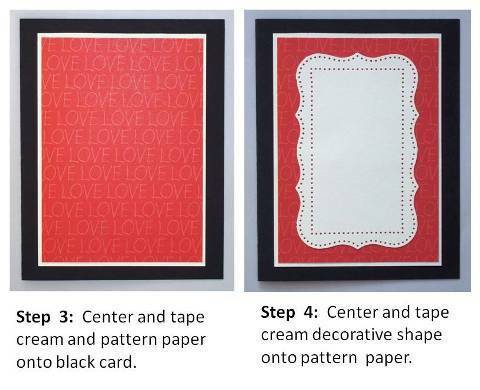 A handmade Valentine card can be simple to make yet look expensive. 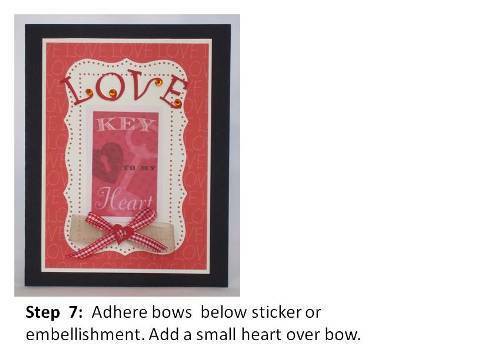 Discover lots of Valentine card ideas to get you inspired. Valentines day crafts are fun to make. I had fun making this card because I was able to utilize scrapbook pattern paper that was Valentine themed. The pattern on the scrapbook paper were rows and columns of designs inside rectangular shapes that looked like stamps. 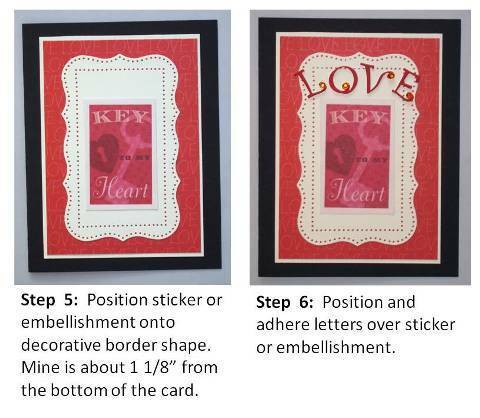 Each stamp had different artwork on them and I was able to create several Valentine's day cards with one sheet of scrapbook paper. I found a separate sheet of pattern paper that had "LOVE" printed all over it so I decided to use it as one of the background layers. 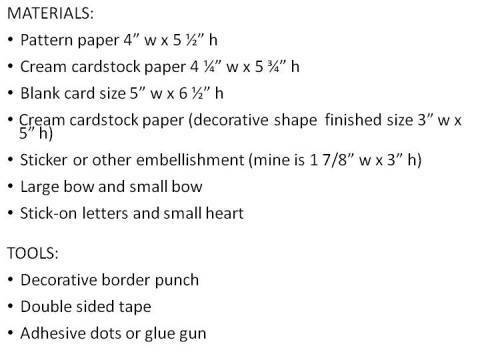 If you don't have the types of pattern paper that I've used, try finding a piece that will serve as the feature, perhaps a large sticker or other three dimensional embellishment to replace the area that says "Key to My Heart". 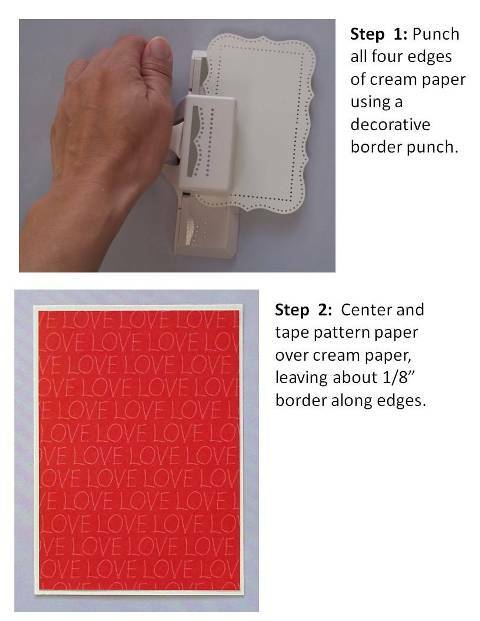 I used Martha Stewart's "Punch Around the Page, Cherish" punch for the cream decorative shape that featured the stamp. It's a bit tricky to use if you've used it for the first time so I had to practice on scratch pieces of paper. The tricky part is aligning the sections where the curves and points meet. I found some inexpensive stickers that said "love" and it already had gems attached to each letter so I didn't need to embellish it anymore. I only used one of the small hearts inside the package to trim the bow, so I can make other cards with the left over hearts. The layers of bows add the final touch.